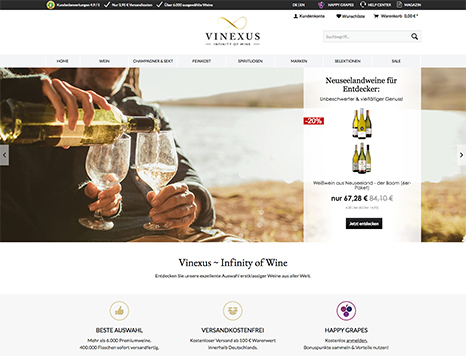 More than 6000 wines from all over the world can be discovered in the portfolio of online wine retailer Vinexus. With its fair price guarantee Vinexus offers a uniquely diverse and high quality wine portfolio at a fantastic price-pleasure-ratio. Next to important and renowned wine brands you will also find a substantial amount of interesting new discoveries and insiders’ tips. Wine is our passion and we are happy to discover and enjoy the infinity of wine together with you! Visit our online shop at www.vinexus.de!